Working as a sole trader when creating my artworks over the decades can be a daunting task to say the least. 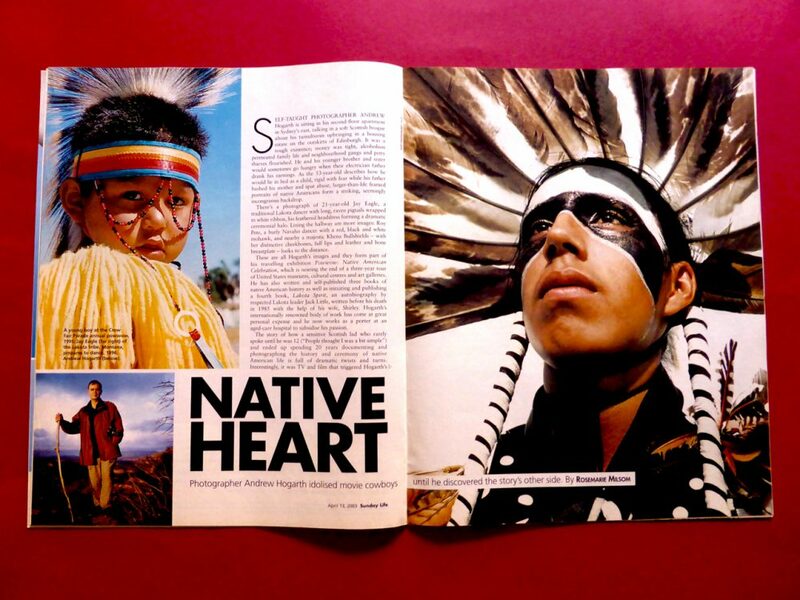 When selling my self published booklets and books and arranging my photographic exhibitions is always a exciting time when journalists in the print medium and radio and television presenters come on board and champion my Native American storytelling when I have a project to inform the general public about. It certainly makes life a lot easier than wearing out shoe leather on the sidewalk pavements in and around Sydney. And also when I was selling my books from the boot of my rental vehicles across the Great Plains to museums, galleries and bookstores. With the sole trader media agent hat firmly in place I arranged my interviews and spoke to journalists regarding my passion for Native American history and also their cultural way of life. When scrolling through the dozens of articles published over the years I was extremely pleased to have been highlighted on numerous occasions in Australian Camera, The Sydney Morning Herald, The Sunday Life Magazine, The Sunday Telegraph and Australian Journey and in the United States of America with Indian Country Today, The Greasy Grass Magazine, Jackson Hole News and the Las Vegas Sun. It has always been my intention to educate and inspire and I am grateful to everyone in the professions mentioned above who helped spread the word along the way.